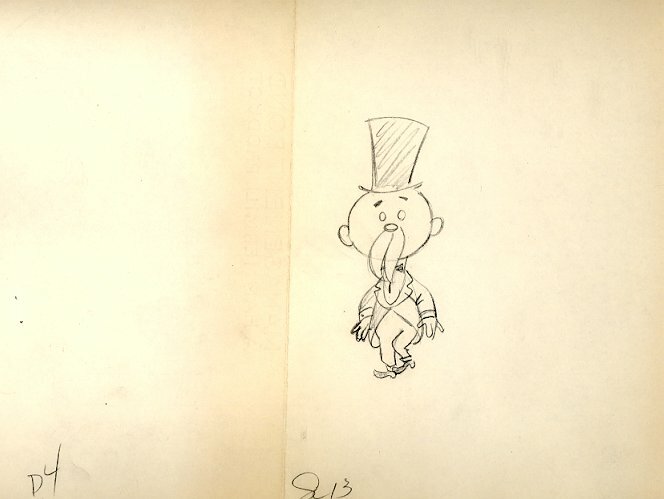 This is a nice layout drawing of Prof. Gizmo from the Ruff and Reddy Show (1957). The untrimmed animation paper measures 10.5 x 12.5 and the image measures 4.5" x 2". It has a crease just left of the character.